Use of Advanced Oxidation Processes to Reduce Drinking Water Taste and Odor – Jamie Shambaugh, P.E. Emlenton Water Treatment Plant Fast Track Design and Construction – William A. LaDieu, P.E. 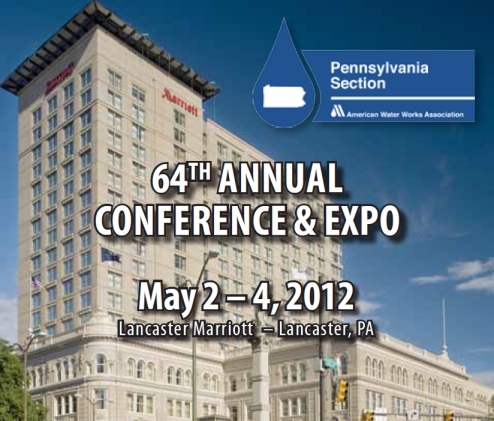 Hydropower for Municipal Water Systems – Dennis J. Hogan, P.E. Sustainable Utility Infrastructure Planning & Replacement – Michael Perlow, Jr., P.E. Conversion of Chloramine to Free Chlorine for a Combined System – Lori L. Kappen, P.E. Start-up and Commissioning Considerations in Water Treatment Plants – Steve Marrano, P.E., P.M.P.